Disclaimer: How to “DIY a Kid’s Play Platform” probably seems a bit out of place, being that it’s currently below freezing and everything has a blanket of snow on it, but here’s the deal: I never shared this post this summer, and we’re in the midst of laying flooring in our house, which means the house is under a blanket of dust and is currently WAY to messy to photograph and share. 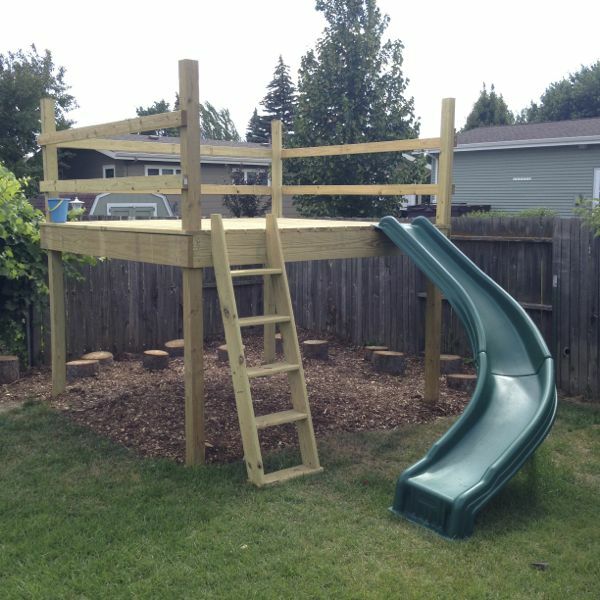 So until I can share flooring pics… here’s our play platform! When we moved to this house I convinced the boys that we should get rid of their little plastic play house with the promise of a new play fort. Nine months later we decided it was time to pay up on our deal. 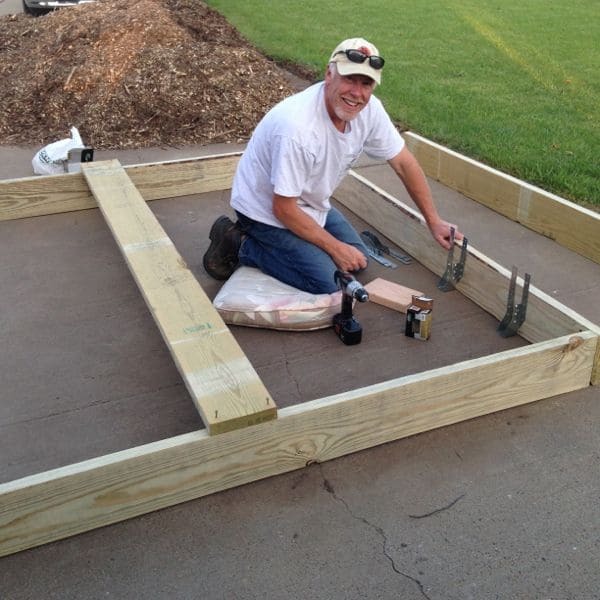 I recruited my dad to help with the project. We didn’t follow any specific plans, but I did loosely look at Ana White and The Handmade Home’s Ideas. For this project we used treated wood so that it would withstand the North Dakota elements. We started with four 8′ 2″x10″‘s that we nailed together. Then we screwed in deck stringers every 16″. 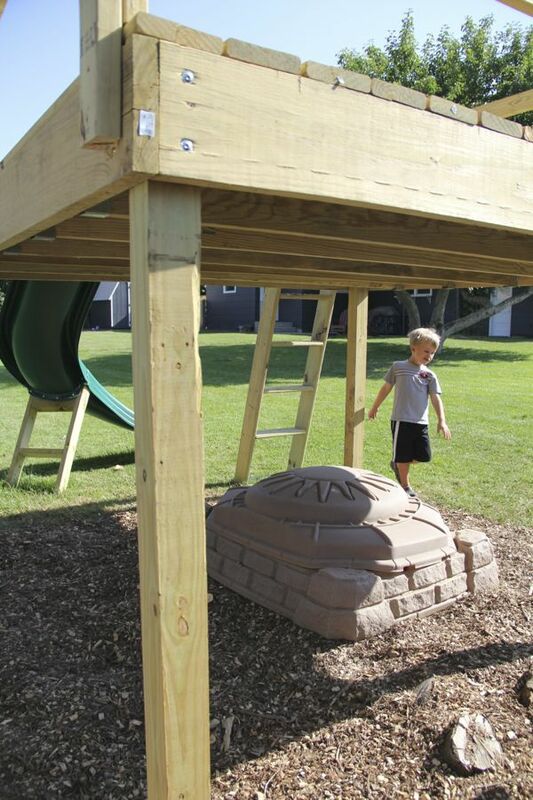 Next we set our four 4″x4″ posts in Quick-Crete using a level and our platform base as a guide. 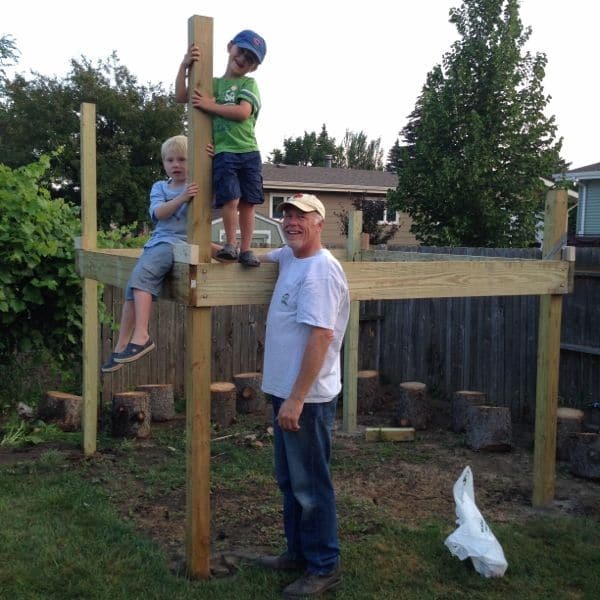 Next we raised up and attached the platform to the posts with 4″ bolts. 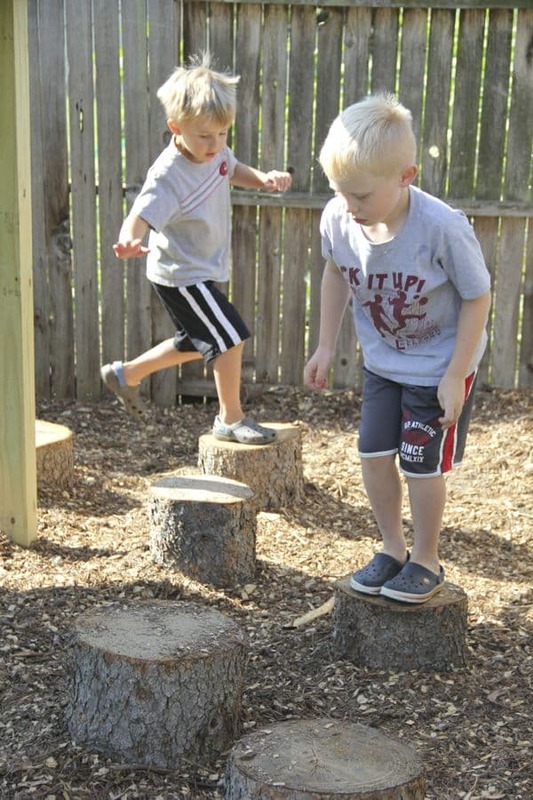 The boys couldn’t wait to get up on their new platform even though it was far from finished. Then we used 2″x10″‘s and installed them between the stringers. This picture sort of shows them from the bottom. Then we used deck boards across the top running perpendicular to the stringers. One thing I learned was to screw the decking onto every beam or else they warp… quickly! 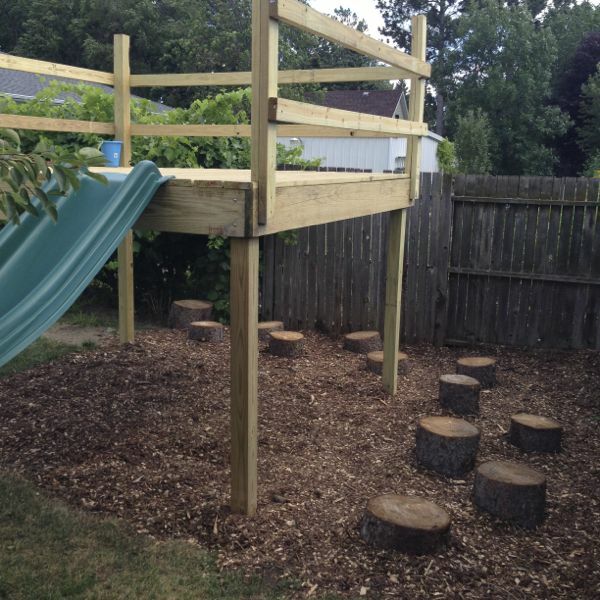 #2- We extended the ladder beyond the top of the platform to create hand holds for climbing the ladder. I appreciated that we used deck boards because they are smoother and have less slivers than regular boards. 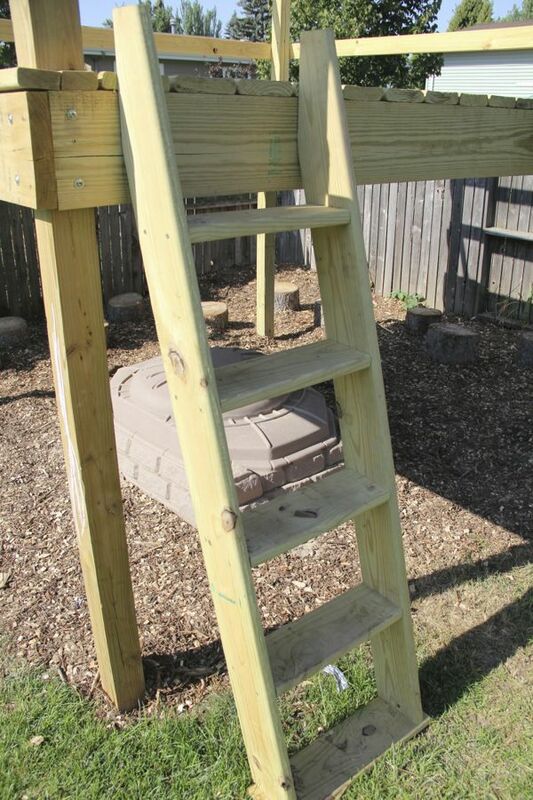 They are also rounded making the ladder look nicer than one made out of regular boards. We’ve got big plans to build a house on top of this platform next summer, but until then we added these boards as temporary rails. 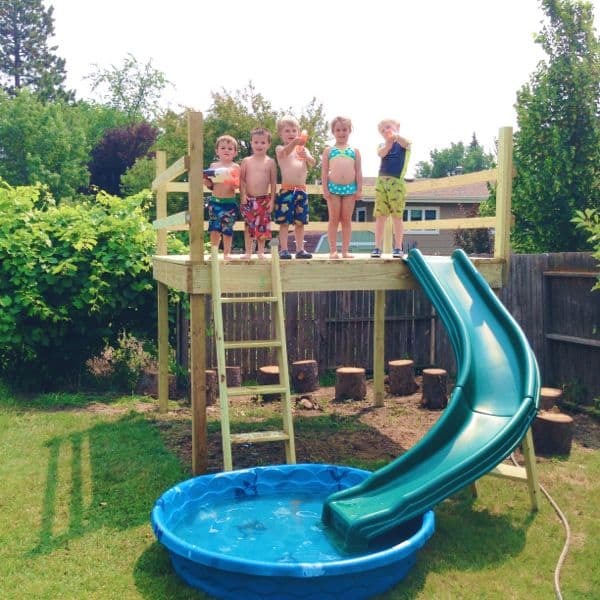 We also added this slide that I found on Wayfair’s summer play sale for $150. I didn’t take any pictures but we sealed the entire structure with a gallon of Thompson’s Water Seal in natural to help protect it. Pretty quickly the kids converted into a water slide with a hose and kiddie pool! 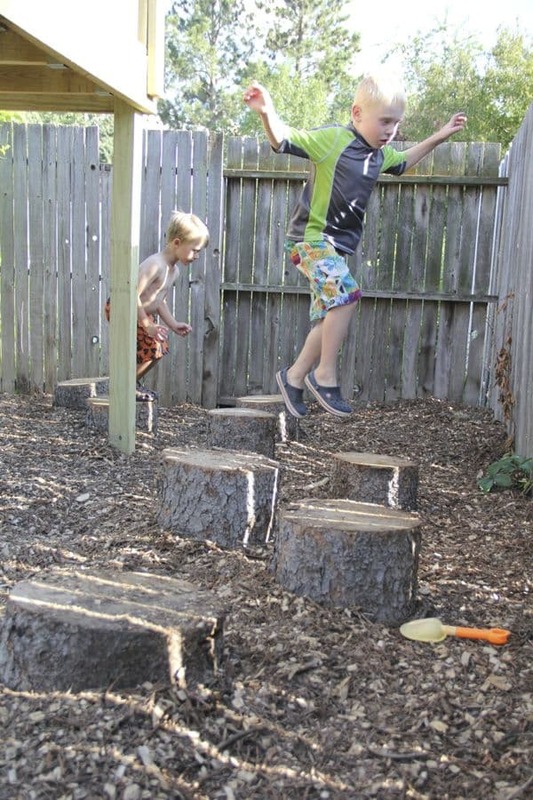 To add some extra fun I surrounded the back side of the play platform with the leftover stumps from cutting down a tree in our front yard. I buried each one about 4 inches underground before surrounding them with wood chips. 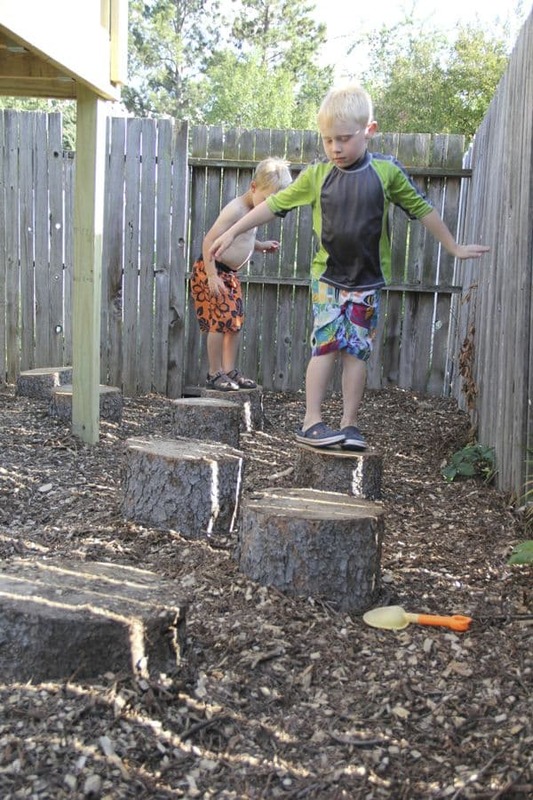 These stumps have gotten a TON of use and the boys think they are awesome. I love that it was a free way to create some fun! So far we’ve only built the platform, but I want to make their fort custom and unique! I’ve got some big ideas for building a house on top like this or this! I also want to add some swings off the one side. We’ll see how much my dad is willing to come back and tackle with me next summer! 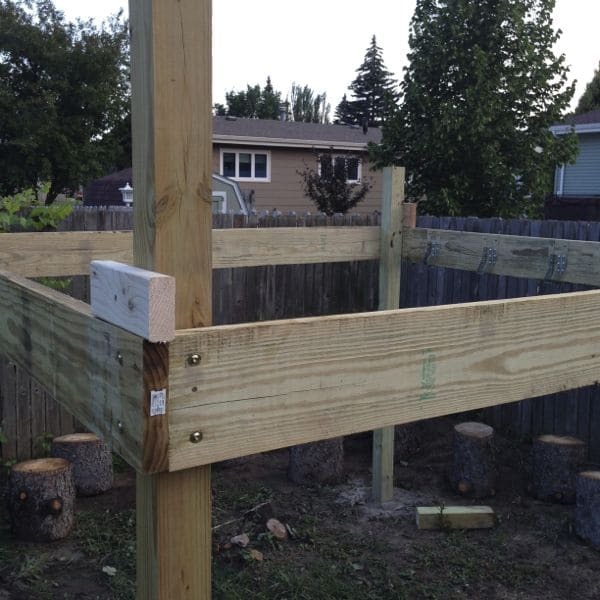 Once you raised the frame onto the posts, did you cut the tops of the posts off level with the base frame? If so, what kind of saw did you use? YES! 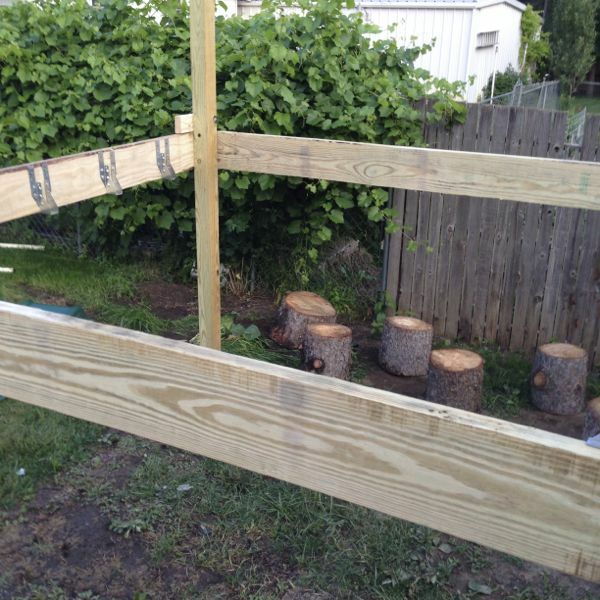 We used sawzall, but you could use a handsaw as well, just a bit more work! 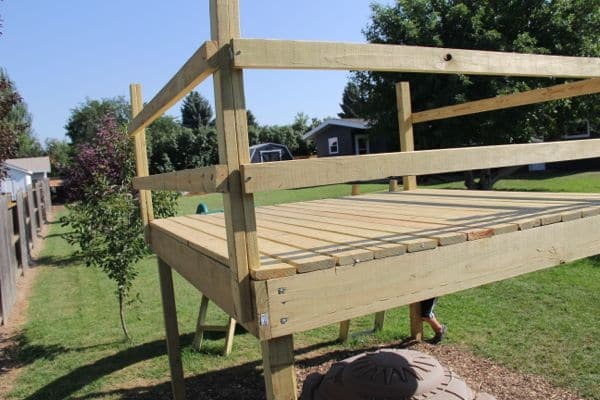 What would you say was your total cost for this project?